Maybe you are concerned that the tree is a hazard. Or maybe you’re not sure what’s going on with your tree and you are looking for some advice. A tree risk assessment is the best way to analyze and evaluate a tree and its potential risks to people and property. In some cases, a potentially hazardous tree may not be on your property. Perhaps it is a town tree or owned by a neighbour. If the tree is in bad shape or has been neglected after storm damage has occurred, a tree risk assessment can be helpful when approaching the owner with a request to address the tree and its potential risk. If the owner can see the risk associated with the tree, they may be more likely to do something about it. In many cases, a tree that carries some risk can be mitigated by pruning and follow up inspection. Crown reductions are a good technique for lowering chance of failure. In other cases, a tree may be an imminent risk and will have to be removed. 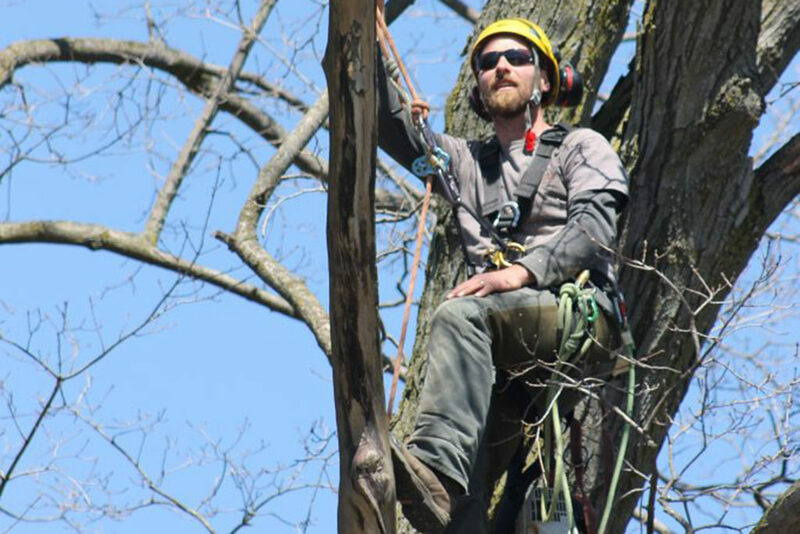 At Baum Tree Care, it is our goal to mitigate risk while ensuring the urban forest remains healthy and beneficial to the community for years to come. 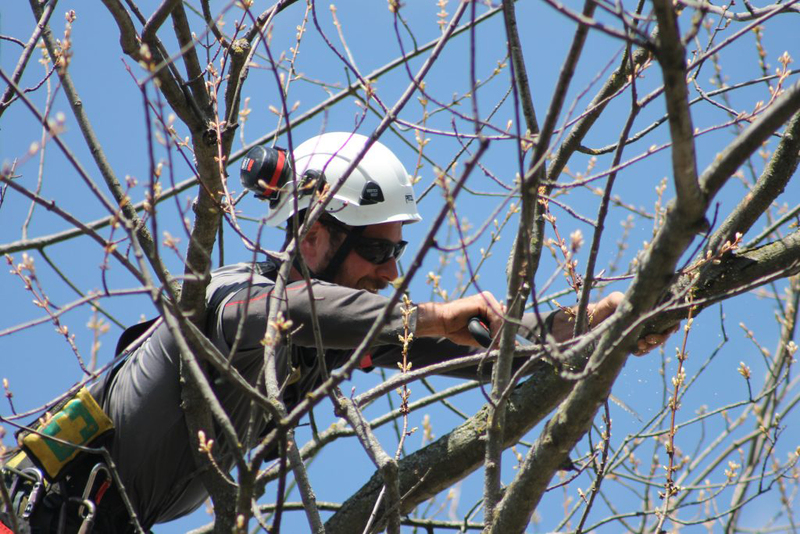 If you are looking for a tree risk assessment, contact the team at Baum Tree Care today for a free tree pruning quote. A tree risk assessment is a document outlining detailed information on the current state of a tree, the risks associated with its failure, and proposed solutions for your mitigating risk. Level 1 Assessment — Basic assessment (from the ground only). Level 2 Assessment — Detailed assessment, required to condemn a tree for removal. Site factors that may affect the stability of the tree, such as damage to root structure, or changes in grading. A tree health and species profile that describes the current health of the tree, along with a summary of problems common to that particular species. A consideration of load factors, such as protection or exposure to wind, competition from other trees, or potential ice formation in winter. A list of current tree defects and other conditions affecting the likelihood of failure, looking specifically at the crown, trunk, and root structure of the tree. Risk categorization for the various defects outlined above — in order of priority. Mitigation options for treating the tree in the future, which may include pruning, crown reductions, or even a full tree removal in certain cases. Do you have a tree on your property that is sick, unhealthy, or damaged?